This is useful for many respiratory disorders as well as cough. 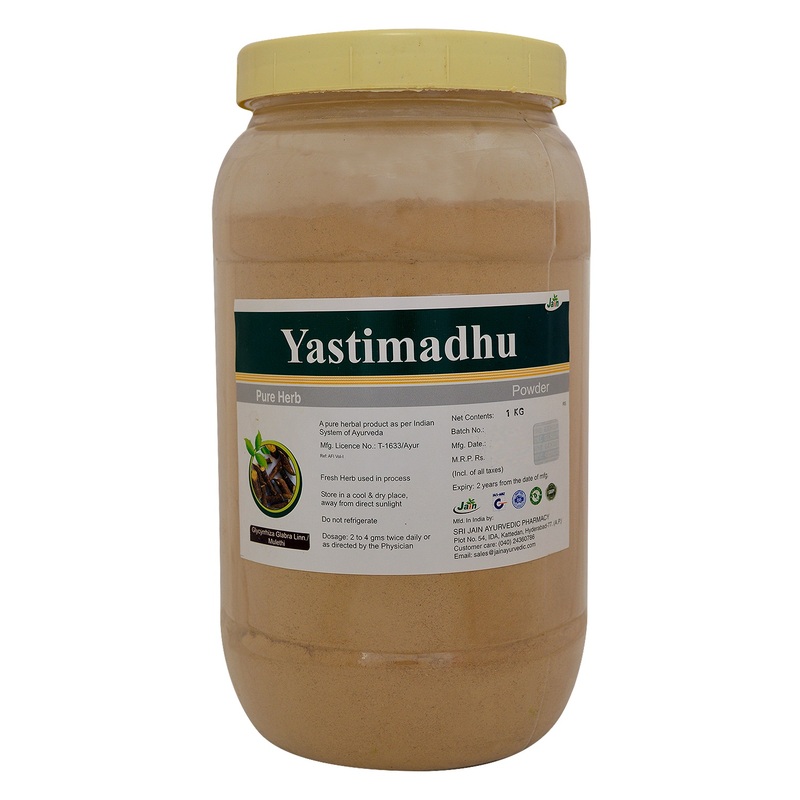 Yastimadhu helps to increase the appetite by facilitating proper evacuation of stools. 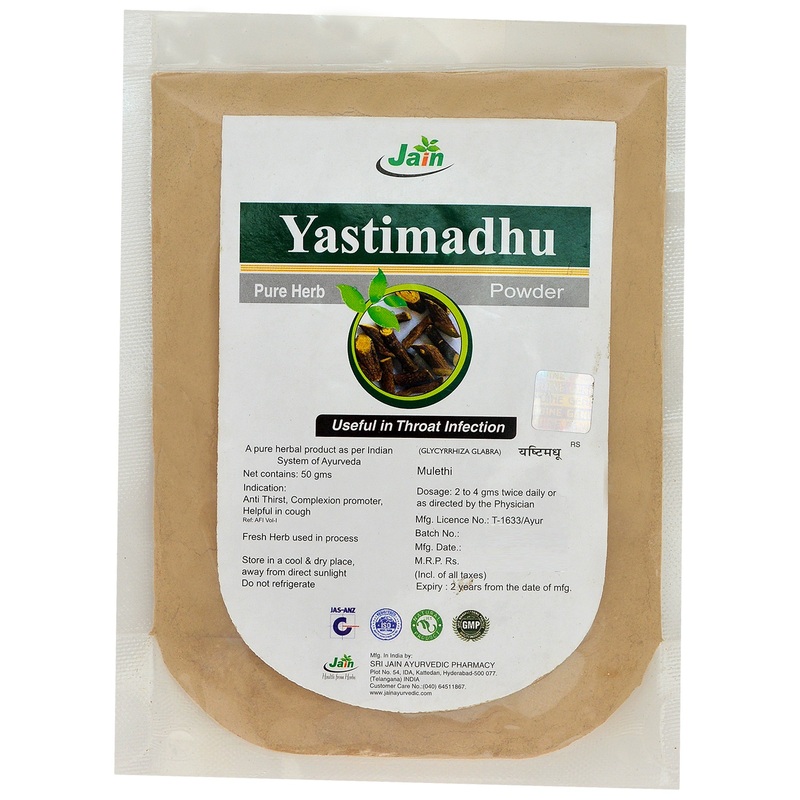 This herb has a special action on kapha, which helps in expectoration of the accumulated kapha. It is mainly used as an expectorant and antitussive agent. It has shown anti-inflammatory activity. Liquorice extract is an important substance for treatment of gastric and duodenal ulcers. 3 to 5 gm once or twice a day or as directed by the physician. Treats acid peptic disorder, treats duodenal ulcers & gastro esophageal reflux disorder.